Clare Pharmacy is a family-run independent community pharmacy. 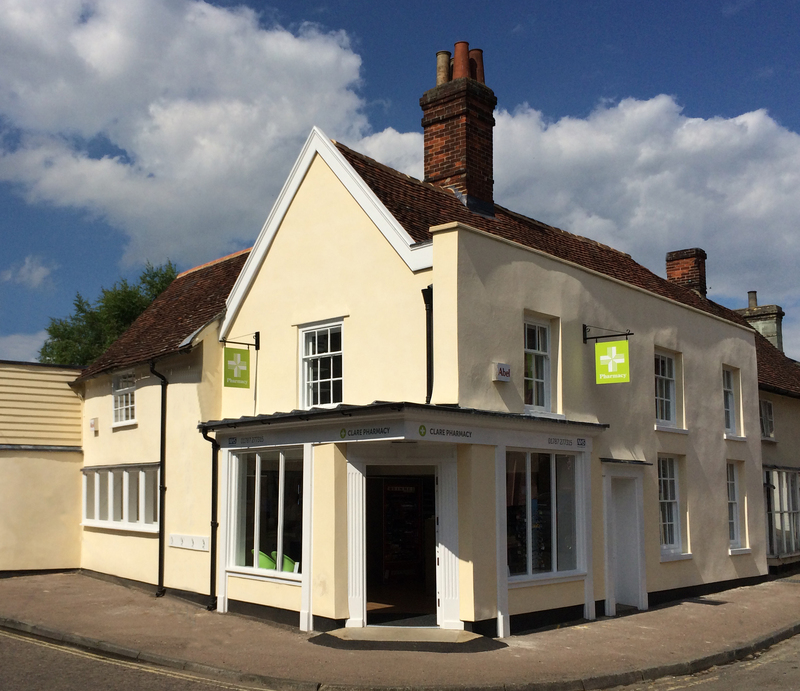 We are situated in the idyllic town of Clare in Suffolk, winner of Suffolk Village of the Year 2010. The Pharmacy is on A1092 between Haverhill and Sudbury. We provide healthcare services within Clare and the surrounding area, in conjunction with GPs, hospitals and other healthcare providers. We also sell over the counter health and beauty products, including many ranges not available in the larger high street chains. Clare Pharmacy has been owned by Nicholas Smith since 2007 and it has been in his family for over 30 years. As a family business we pride ourselves on being at the heart of the community and providing help and support to our customers in all their pharmaceutical needs.